I have never worked at Renaissance, so please take my answer with a grain of salt, but here is a first hand story that could shed some light. On June 22nd in NYC, my colleague, who is also ex-US Department of Defense consultant and myself, met with one of the foremost US experts on sonar detection (good luck finding him on Facebook, LinkedIn). He is a physicist with multiple PHDs, geeky funny. His expertise is signal processing. 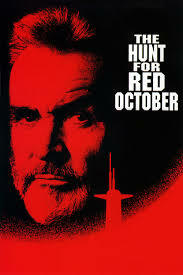 He is the real “Hunt for Red October”. It was one of the most refreshing experiences ever. He explained his world. I explained mine. Cotes de Provence Rose, beer and wild berry Zinfandel helping, we tumbled down the rabbit hole talking even about epistemology, the philosophy behind math. His world, signal processing, bears uncanny resemblances with ours. We explored Bayesian probabilistic determinism, which models (Gauss, Poisson etc) to apply to distributions, the cost of false positives (think trading edge), arbitrage between time and action with sparse data (confirmation). We spoke the same language. We were talking real problems: how do distinguish signal from the noise ? How fast ? What is the cost of being wrong ? What is the cost of being right ? Which statistical law applies to randomness ? Compare this with glorified journalists, otherwise referred to as fundamental analysts. “This is fairly valued”… life is unfair darling, so do you really think markets are fair ? Physicists approach the markets as a statistical problem. This is practical. MBAs have too much untested theories in their head. It is costly and time consuming to unlearn all that junk.